Dollar is losing its strength against many currency pairs due to the latest USA Labour Market report. Today EURUSD started its trend with bearish bias falling down the descendant channel. 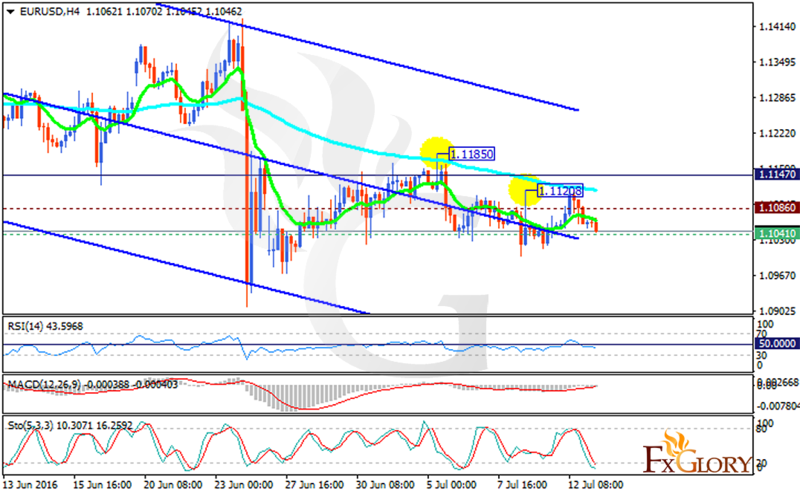 The support lies at 1.10410 with resistance at 1.10860 which both lines are below the monthly pivot point at 1.11470. The EMA of 10 is moving below the EMA of 100 both with bearish pattern. The RSI is moving below the 50 level, the MACD indicator is in neutral zone and the Stochastic is showing downward momentum. The downward trend will continue but there is a strong support in 1.100 level.